ATOSG-45KVA three phase isolation transformer is powerful, reliable, step down/step up 415V to 208V, suitable for indoor applications. Dry air self cooling of cooling mode. three phase unit with 45 kVA power rating. Better dielectric strength and insulation resistance. IP 24 protection grade of enclosure. 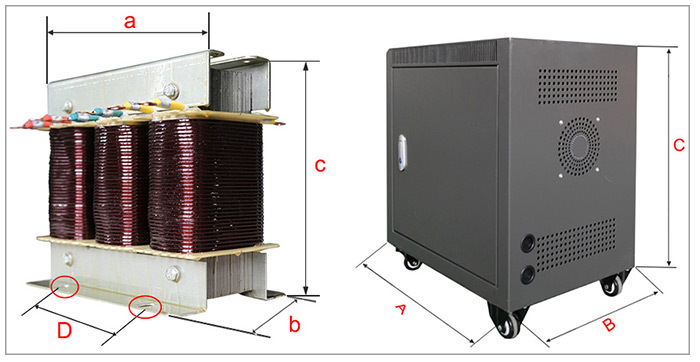 Dry type step up & step down isolation transformers mainly include natural air type and forced air type. Natural air cooling is mainly for transformers which are continuous operating within the rated capacity. 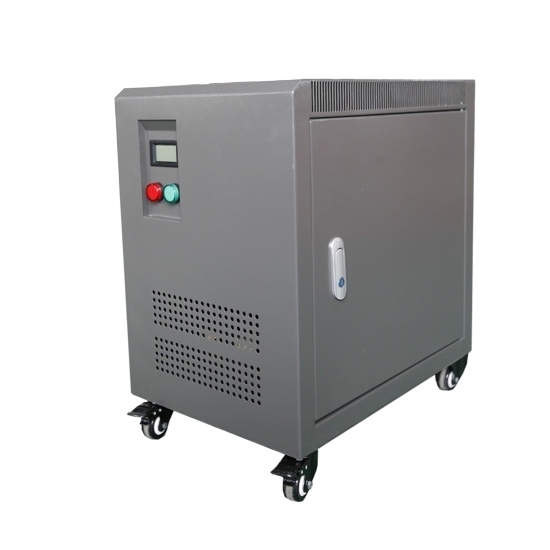 Forced air cooling method can make the output capacity of the transformer increase by 50%. This method is mainly applied to discontinuous load operation or load operation due to accidents. However, both the impedance voltage or load loss will not increase naturally during the loading operation and they are not conducive to economic operation, so it is not appropriate to make the transformer run under suchload for a long time.